Moroccan ceramic ashtray hand-made in Safi - Morocco. 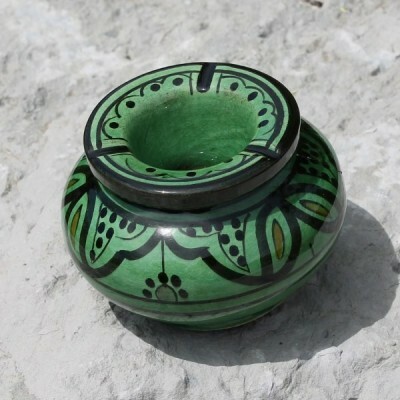 Green Moroccan ceramic ashtray decorated with black colour painting patterns, hand-made in Safi. Handicrft from Morocco.